People buy from people…right? Providing a dynamic extension of your own marketing capabilities, we offer results-focussed integrated marketing communications solutions. We specialise in certain key sectors, these being: packaging, automation, plastics, storage & handling, warehousing & distribution. Our clients expect to see a return on investment – that’s why we have carefully tuned our service offering to ensure that we consistently deliver. Your success is our success, so expect a highly charged, full-on personable service if you choose to engage our services. Researching & developing articles to promote greater awareness of capabilities. Delivering positive messages on key strengths such as quality, service, innovation and solutions. The use of PR software to provide an extensive pan-European media database, distribution options, comprehensive media monitoring and engagement tools, with measurement analysis options. Use of engaging content such as infographics to build trust and establish blog as a respected ‘go to’ resource, which can ultimately lead to higher customer conversion rates. Developing content is the key driver of our integrated campaigns. We use a multichannel approach to deliver key messages to audiences on behalf of our clients. These include PR, blog and social platforms, typically Twitter and LinkedIn/publishing. 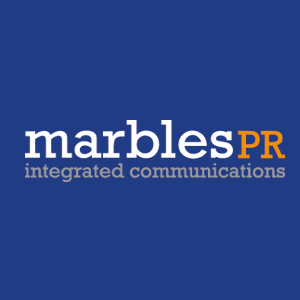 As part of an integrated strategy Marbles PR will design and build digital marketing campaigns to support brand engagement strategy or new product/service development. Frequent use of eShots as a means to keep customers updated and to target prospects as a main component of our engagement strategy. Design, including web design is outsourced to trusted partners who share our vision & values. Marbles PR translates your brief to lead designers/programmers and project manages the design/ website build to completion. Case studies have become a valued part of an integrated marketing strategy. We research, photograph, design and produce case studies from scratch. Marbles PR can provide full exhibition support from stand booking, design, providing the operational interface with event organisers and pre and post event marketing.